It’s not very often we come to you cap in hand, OTP fans. But this Friday OTP writer Daniel Storey is embarking on a 265-mile trek from Nottingham to Bude, Cornwall, to raise money for Thomas Singleton. Thomas was born in Nottingham on 30 March, 2010. Due to complications in the birth, he suffered high cervical spinal cord injury. 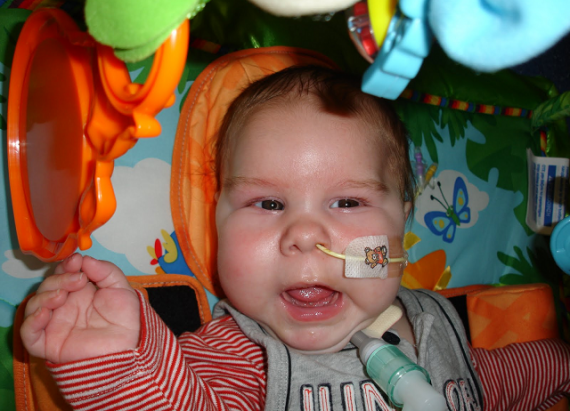 Although he is making good progress, Thomas has been living on a high dependency children’s ward since his birth. So, Daniel is setting off on the 11-day walk from Thomas’ home – where he has only been on a few visits so far in his young life – to his grandparents’ home. The aim is to raise at least £5,000 to help towards the cost of alterations to the family home and installation of sensory equipment that would allow him to be cared for at home. Daniel is also hoping to find some extra money for donations to The Butterfly Project and Carin4Families, both charities providing respite days for Thomas and many other families. If you feel able to help out, you can make Paypal donations to walkforthomas@hotmail.co.uk. You can also contact Daniel through that email address if you have any questions or to find out how to donate by cheque. You can also find out more about Thomas here.